Rock-throwing Palestinian terrorists wounded a 10-year-old Israeli boy, who remains in hospital with internal bleeding in his head. 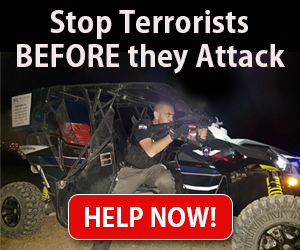 A 10-year-old boy is being treated for minor internal bleeding in his head after being hit by rock-throwing Palestinian terrorists in northern Samaria, Arutz Sheva reported. The assailants ambushed a civilian bus full of children that had just left a rally Thursday calling for reconstruction of the town of Sa-Nur, which was demolished in the summer of 2005 during Israel’s disengagement from Gaza and northern Samaria. “We were on our way to the center of the country. When we left Sa-Nur we passed an [Arab] village, and at the entrance to the village we saw that Arabs were burning tires, and we saw youths standing with rocks in their hands by the side of the road,” the boy’s mother told Arutz Sheva. The boy was treated by a paramedic before reaching a hospital. “He had a large, open wound in his head stitched up, and he remains under observation because of the internal bleeding they found,” the mother told Arutz Sheva.